Coaches, horses and victory to the Seagulls over the Redback Spiders. 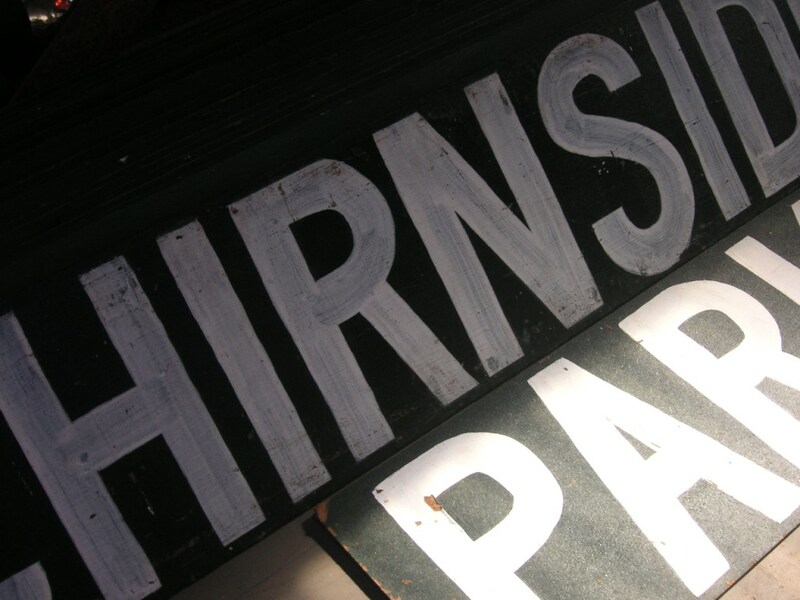 Rumour has it that this scoreboard was once at Punt Road, Richmond. If so, it has some history. I didn’t have much time to follow-up the rumour, let alone take some photographs. I managed a quick squizz inside in-between the two FIDA games there on Sunday 17 May. For a match report of the senior FIDA game see our partner site, australianrules, founded and edited by the esteemed Les Everett. 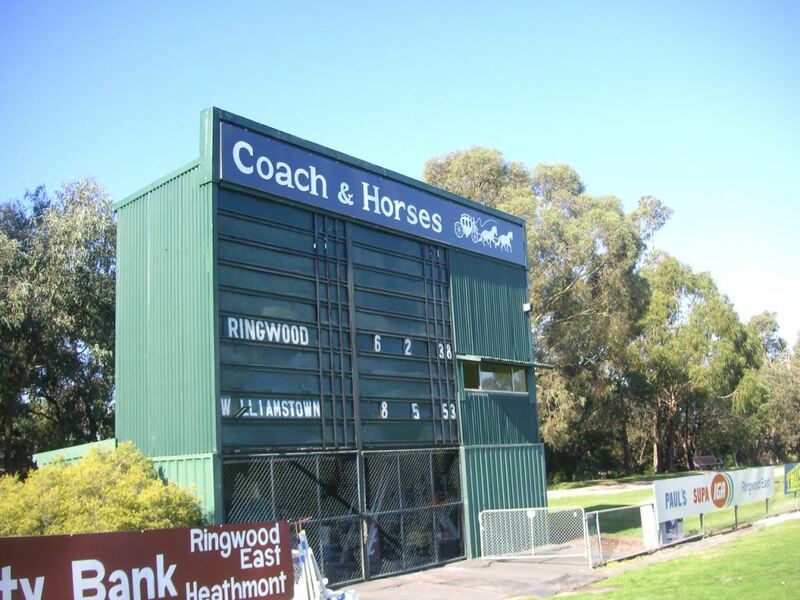 Scoreboard Pressure first reported on Ringwood in 2013, via a dedicated FIDA executive. It was a treat to visit the ground myself. Especially on a sunny late autumn day. FIDA is the Football Integration Development Association, a league for players with intellectual disabilities. 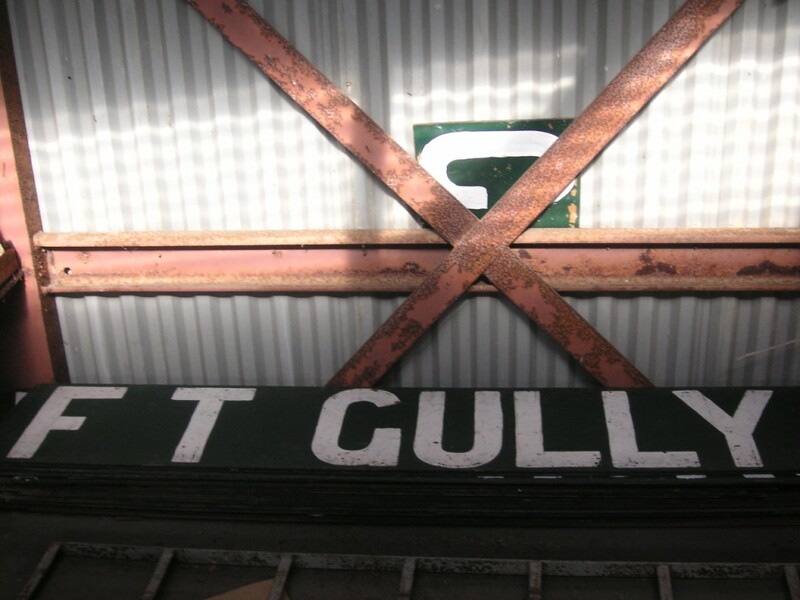 For Punt Road scoreboards (and much more about the Tigers’ home ground), take a few minutes to look at The Holy Boot’s letter of love to the Punt Road ground. Hey Vin, the more I look the more i am sure it’s the same scoreboard which was I believe only used for cricket at the ground for a fairly short time. Looking at two images of an old scoreboard in my punt road post, you can see the set out is the same (box where people sit etc.) yet it was clad with ads. However also looking at the innards of the Jubilee board looks very similar to that lying on the hill at punt road, also in my blog. Not 100% conclusive but I’d say it’s in the 90s! And cheers again for the plug! Methinks The Holy Boot and other Richmond faithful may need to make a pilgrimage to Ringwood, before the scoreboard is replaced/converted to an electronic thingamajig.